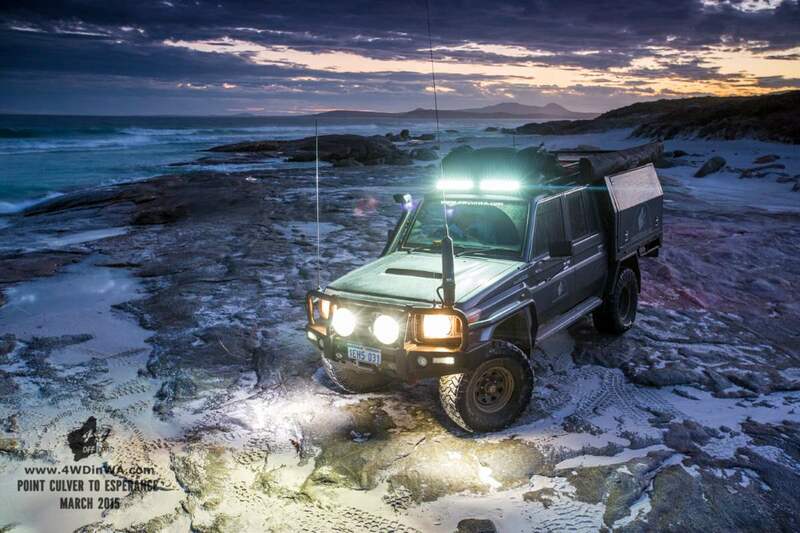 Track length: 1000km+ in 4x4. 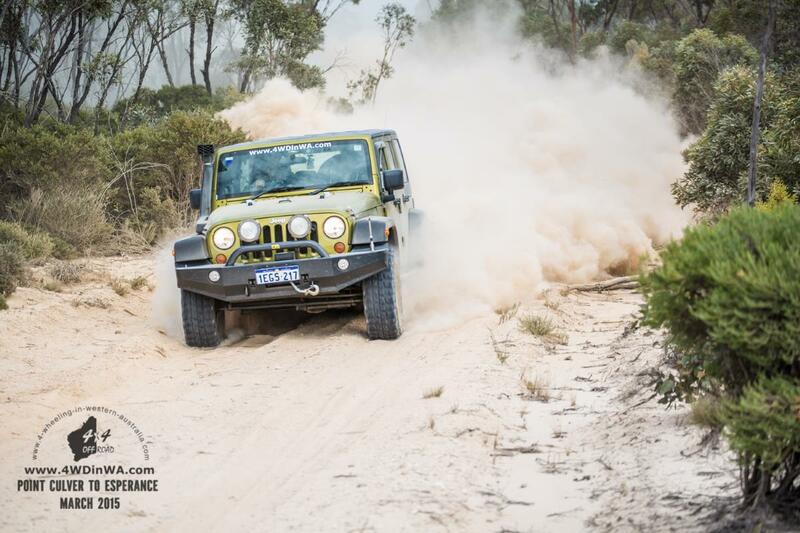 Expected terrain; Gravel roads, dirt tracks, sand tracks, rocks, salt pans, hard and soft beaches, sand dunes, lime stone tracks, some tricky sections at Hammer head & Wylie head and some very rough corrugated roads. 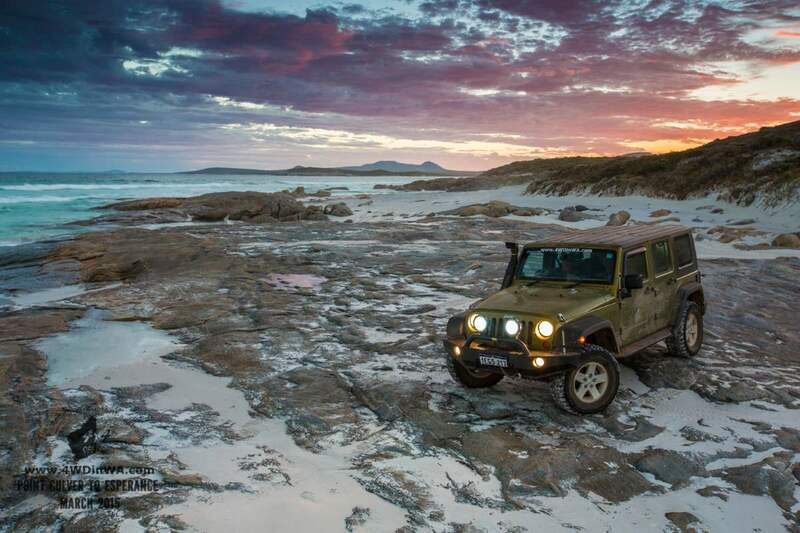 This is one of those bucket list trips you must do and it's not just about Israelite Bay. it's so much more! 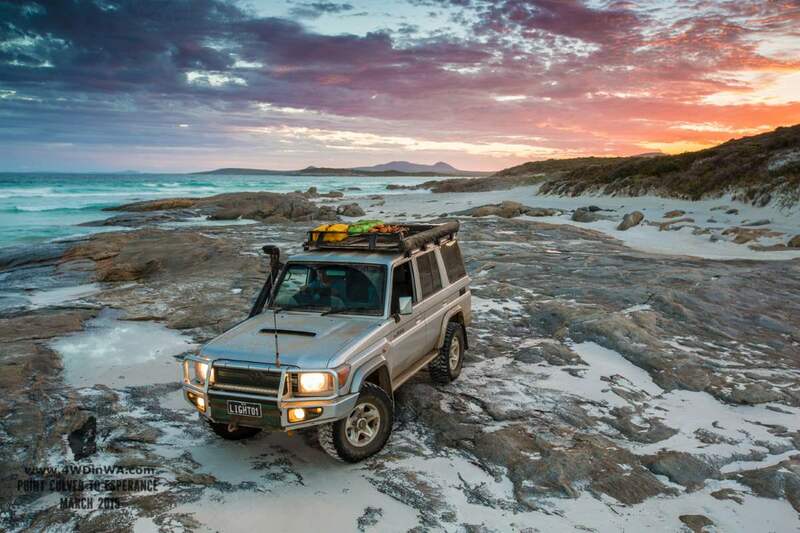 This 4x4 Adventure starts from Condingup (east of Esperance) heads up to Balladonia with some stops at Pioneer & Pastel stations rich in history, then to the east to pick up a track which heads south to the scarp at the Great Australian bight where the cliffs start to the east and the biggest sand dunes in Australia are a stone’s throw to the west. After that it's onto Israelite Bay along beaches, across salt pans and over dunes. That's not all! 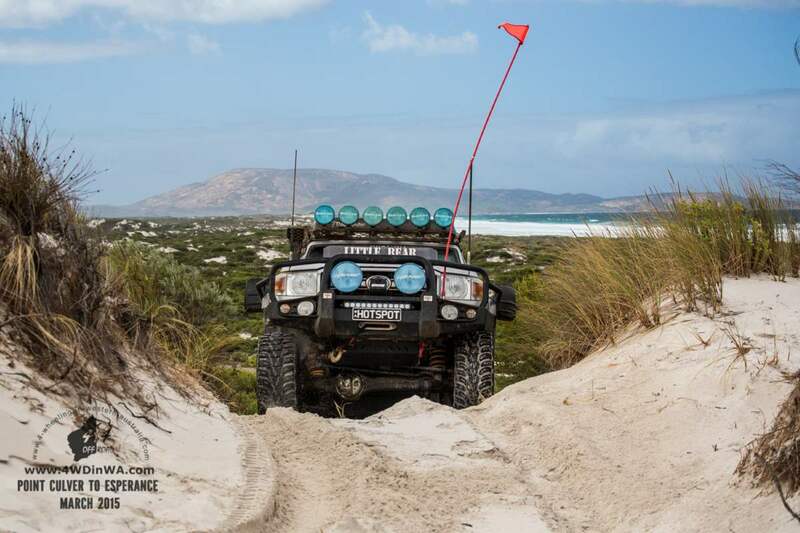 After Israelite Bay there is Cape Arid and Orleans Bay with the Le Grande beach taking you to Wylie Head for the final climax! Click Any Image On This Page To Enlarge Or Open Photo Album. 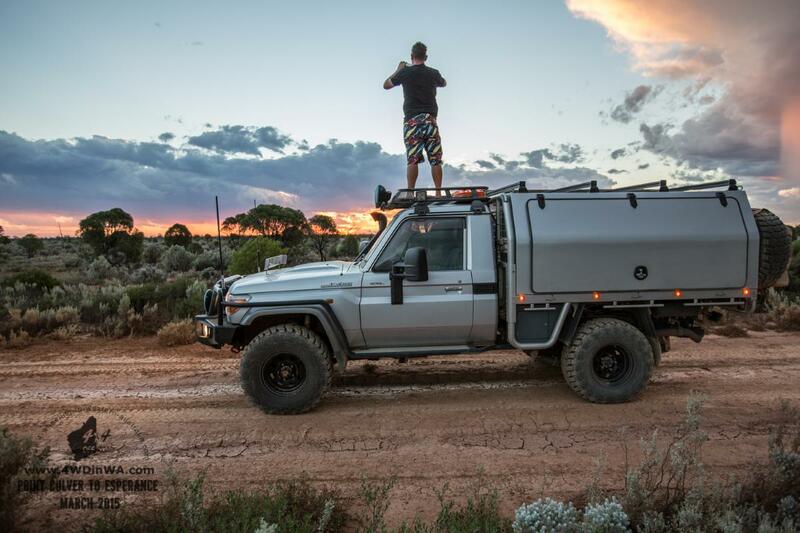 So are you up for an adventure of a life time? 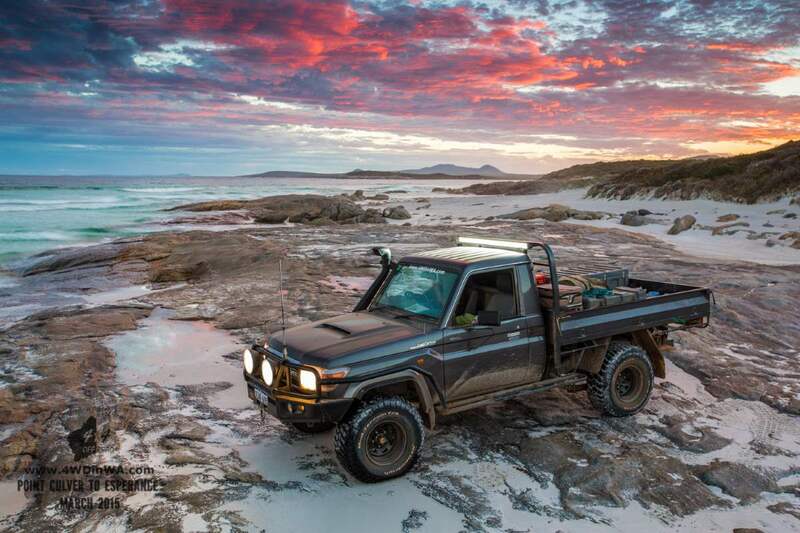 You will be in some of the most remote locations in the southern part of Western Australia and will experience some of the most beautiful beaches in the world along with the history and ruins of the past. 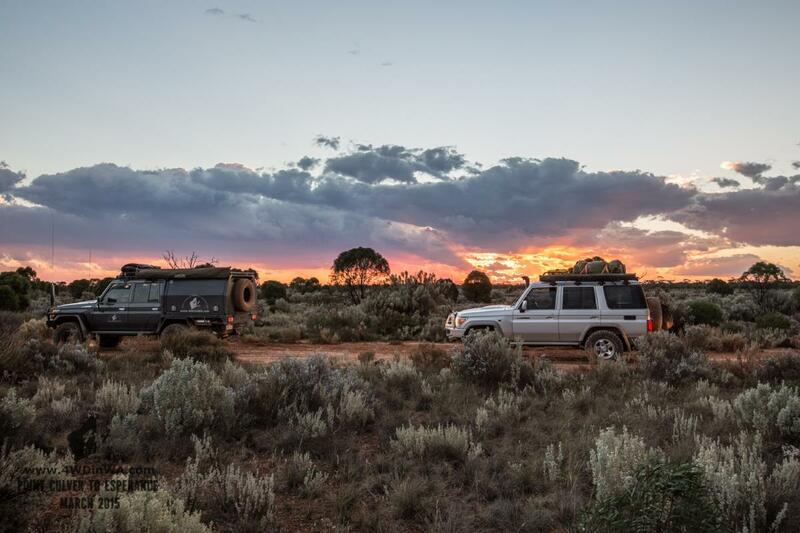 Getting to Esperance from Perth will take an entire day's traveling, so if you are coming from Perth we recommend refreshing yourself with an overnight stay at one of the many caravan parks. With a fully loaded tank of fuel (long range tanks recommend for this trip 130 litres+ is ideal) head east via Fisheries Road until you reach Balladonia Road. Fisheries Road is very rough and corrugated, lowering the tyres will help a lot but don't lower them too much as higher speeds will be required later on. We found 25-30psi was a good compromise between maintaining speed and softening the ride. 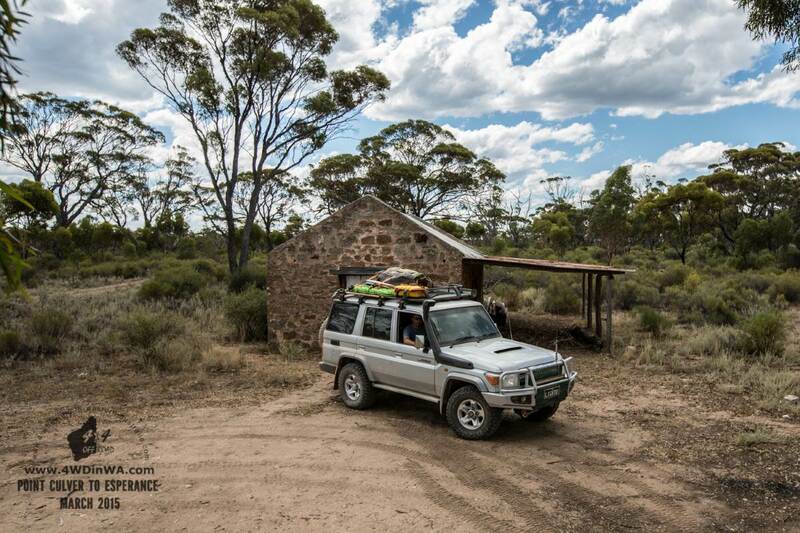 The first stop along the way is Mt Ragged which is also a campsite. Climbing Mt Ragged will take about 2.5-3 hours return. Further north beyond Mt Ragged you find some very interesting old abandoned homesteads, some are ruins and some are still intact. 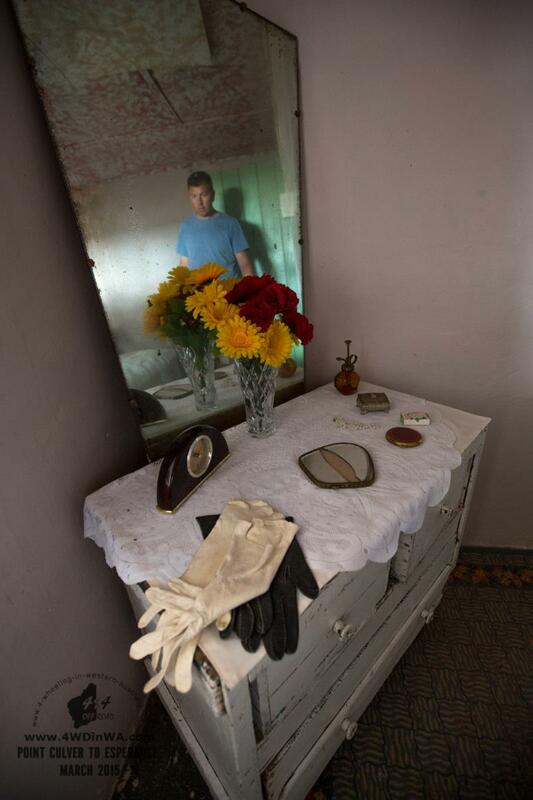 A few of them look like the occupants only just got up and left; it gave us an eerie feeling. 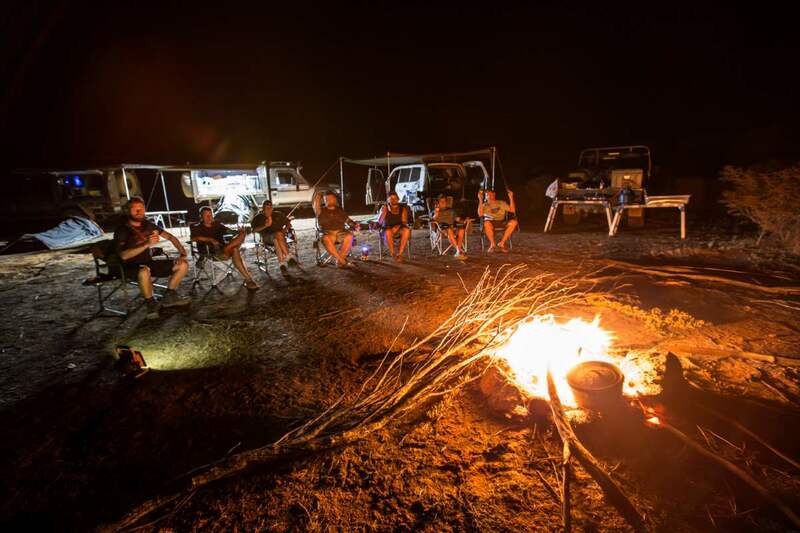 You will now have multiple options for an overnight stay at one of the homesteads or at Balladonia Roadhouse which is further north and is a crucial fuel refilling spot (they have showers and running toilets). 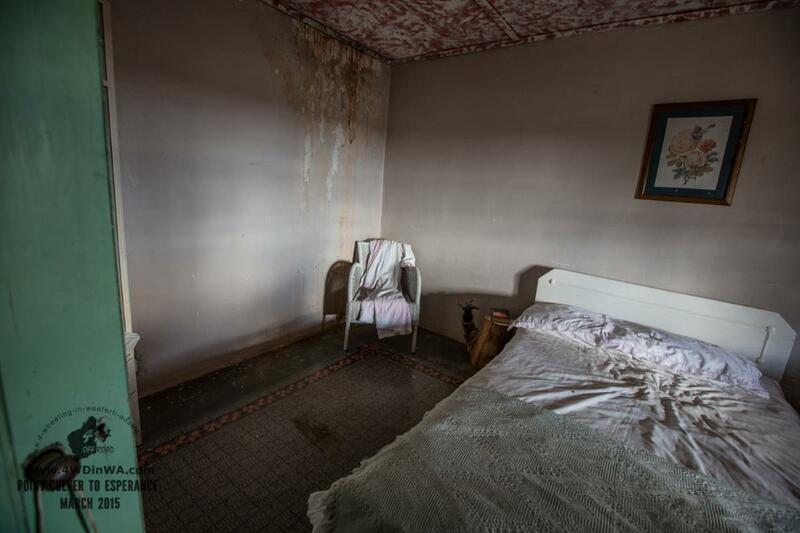 Nanambinia homestead has a toilet but requires a bucket of water in order to flush and there is rain water in the tank, use sparingly. Please respect the area while visiting or staying overnight and leave it as you found it or even better leave it better than you found it! After refuelling at Balladonia Road house it's back onto the highway heading east. 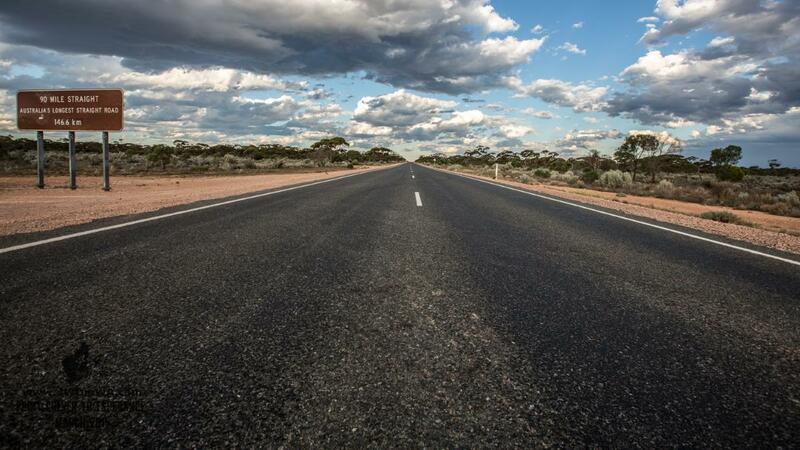 About 30km further east you will pass the "90mile straight" road sign which is the longest dead straight and flat road in Australia. 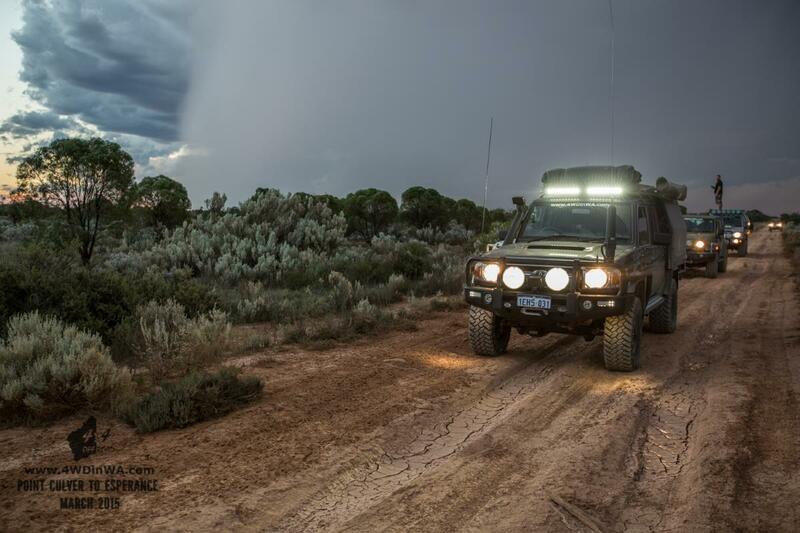 Just another 30km further east is the turn off heading south to the Great Australian Bight. 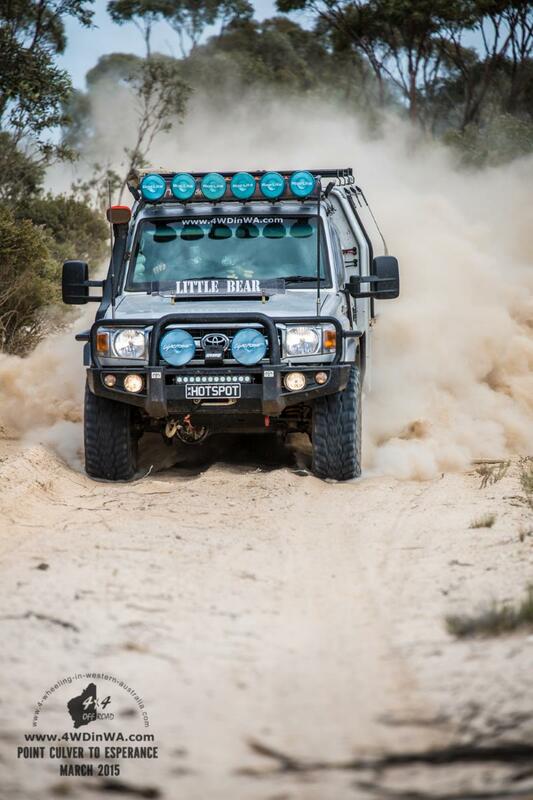 The first 30 km of the 80 km track is great, the next 50 km is very slow going and very, very rough, in fact the final 30 km require low range gearing and tyre pressure around the sub 20's for a smoother ride. 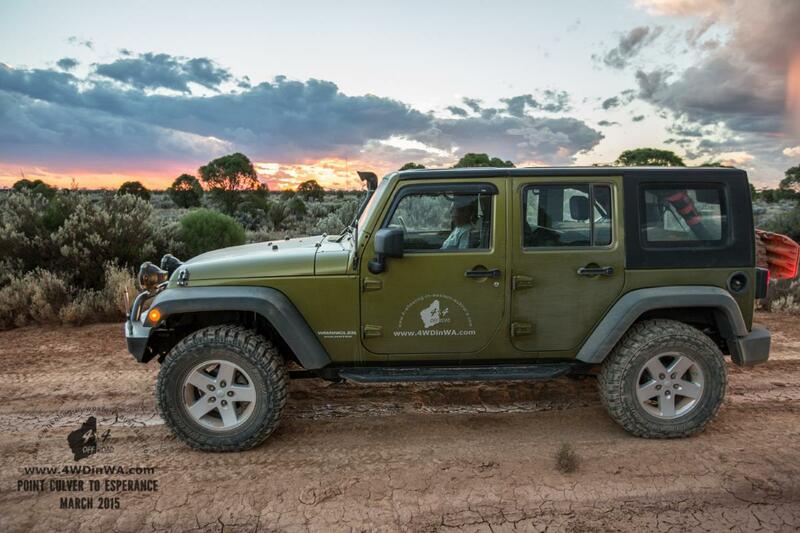 Once you have reached the top of the scarp you will enter the Nuytsland Nature Reserve, follow the signs leading south west (Point Culver). 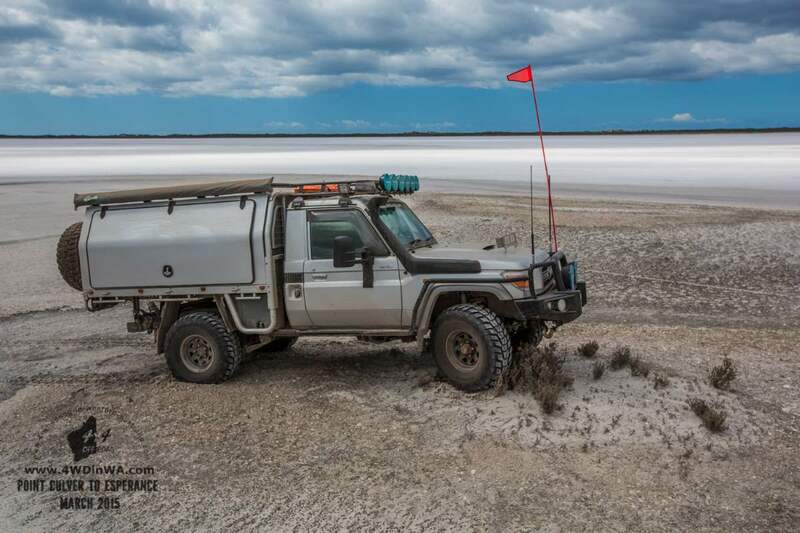 Once at the base of the scarp, which is basically a limestone wasteland you can head for the beach at low tide or stay on the inland tracks which do end at some point. 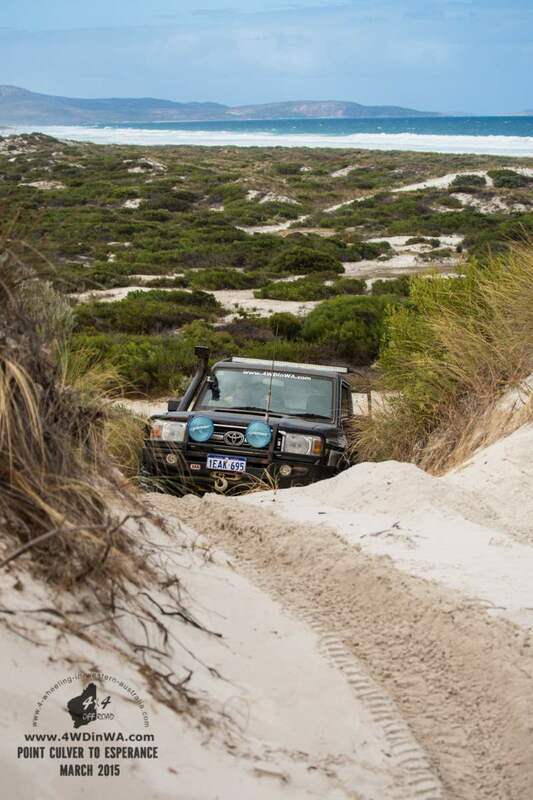 Ultimately the beach needs to be driven in order to see the cliffs to the east and the Bilbunya sand dunes to the west on your way to Israelite Bay. 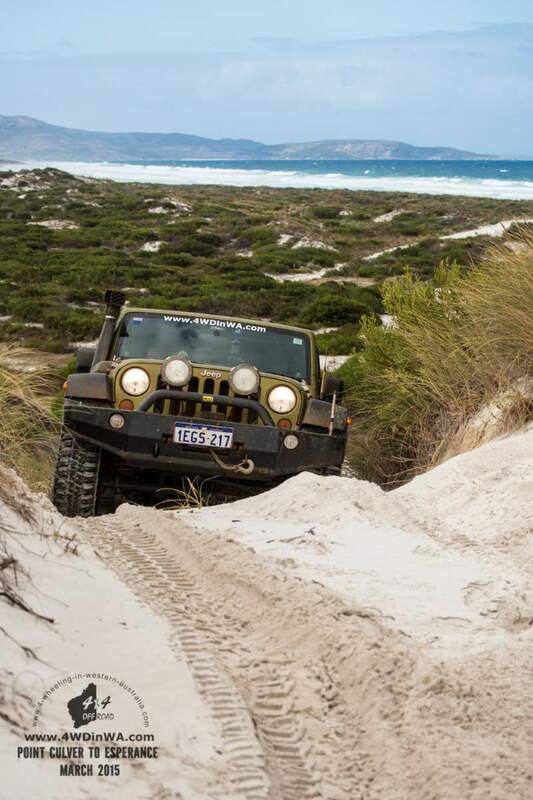 There is another option but you will miss everything at the beach and the tracks on top of the scarp are relentlessly rough! 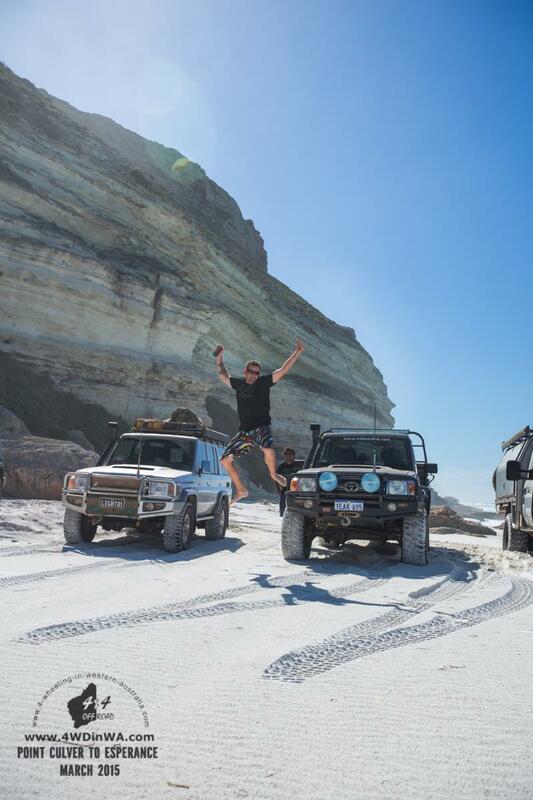 This is the western most point of cliffs along the great bight and is an awesome place to visit for a fish, surf and lunch stop. The water is crystal clear and the beach sand is squeaky clean (it actually squeaks between your toes and tyres). 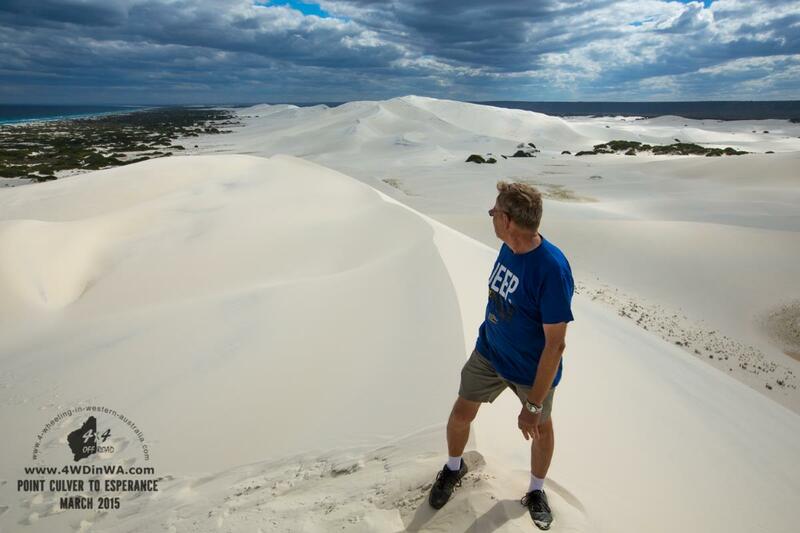 These sand dunes are the biggest in Australia and the biggest in the Southern Hemisphere! 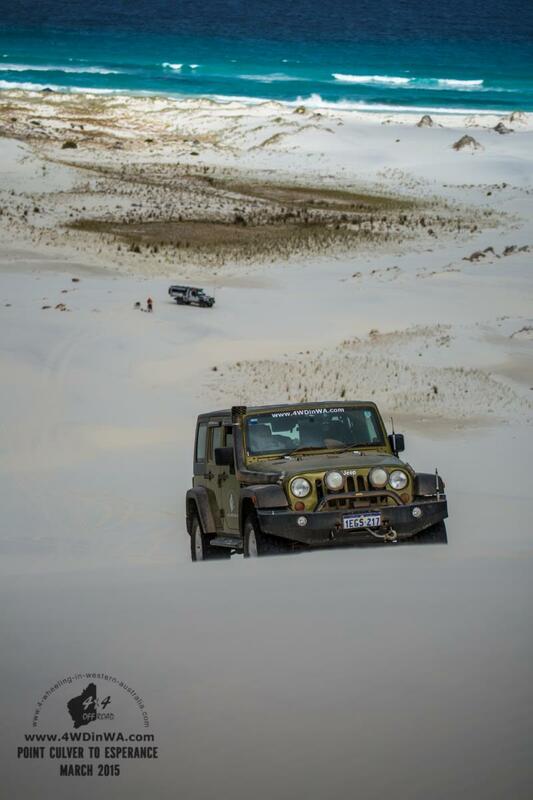 These huge mountains of white sand are a sight to behold, from the bottom they just tower over everything in the area and when you reach the top of them you realize how big they really are and how far they stretch along the coast and how small everything looks from the top. 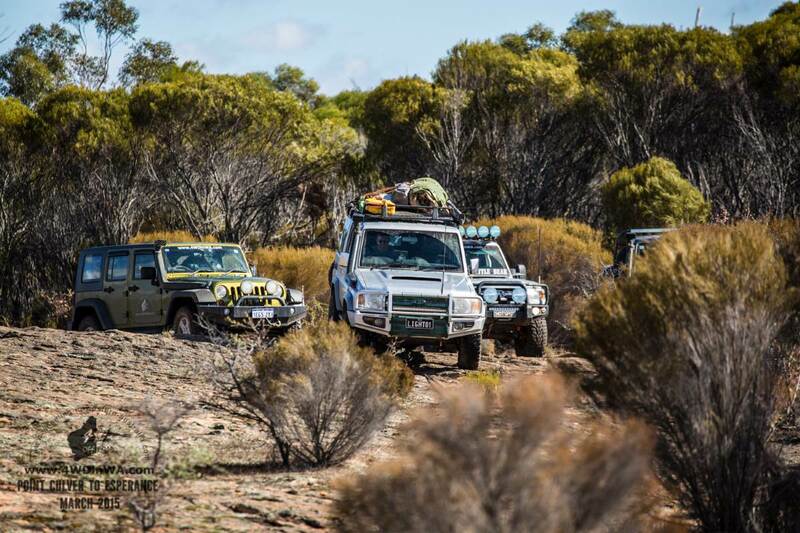 After your visit to the Nuytsland Nature Reserve (the home of the Blibunya dunes and point culver) the journey continues westward to Israelite Bay. You cannot camp in the Nuytsland Reserve and there are no fires allowed. 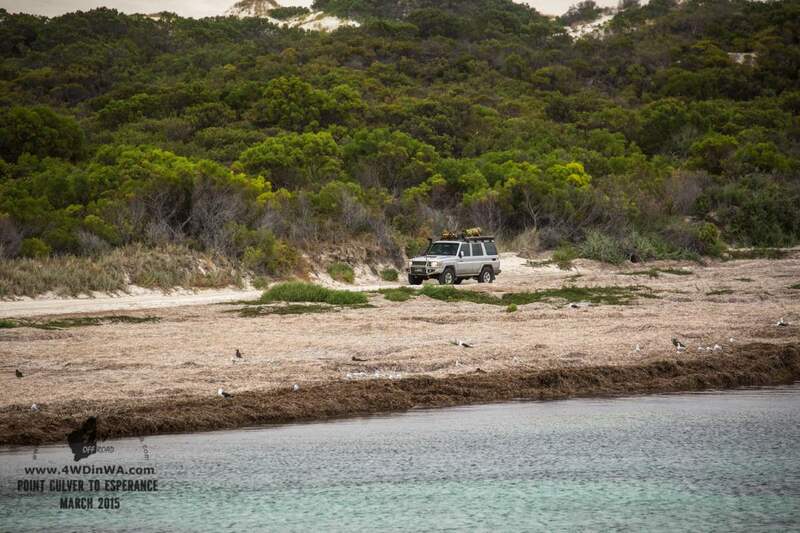 There is a camp site within the reserve which is located at Wattle Camp and if the weather is good you could camp on the beach, but know your tides and beware of rogue waves!! 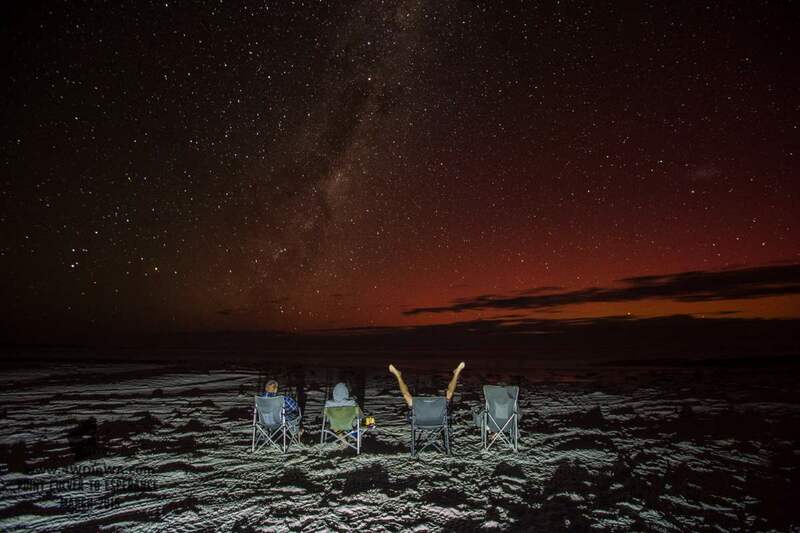 You could head straight for Israelite Bay, but you will be arriving in the dark after spending time at the cliffs and the dunes, so we highly recommend staying as close as possible to the Nuytsland reserve to make the most of it. Unless you are local to the area you may never return there again. 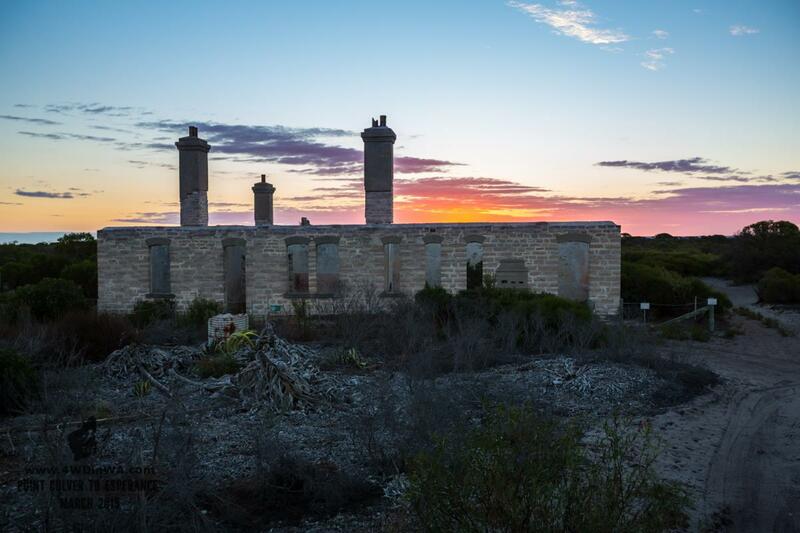 Getting to Israelite Bay from Wattle camp can be done via the beach or via the telegraph track. 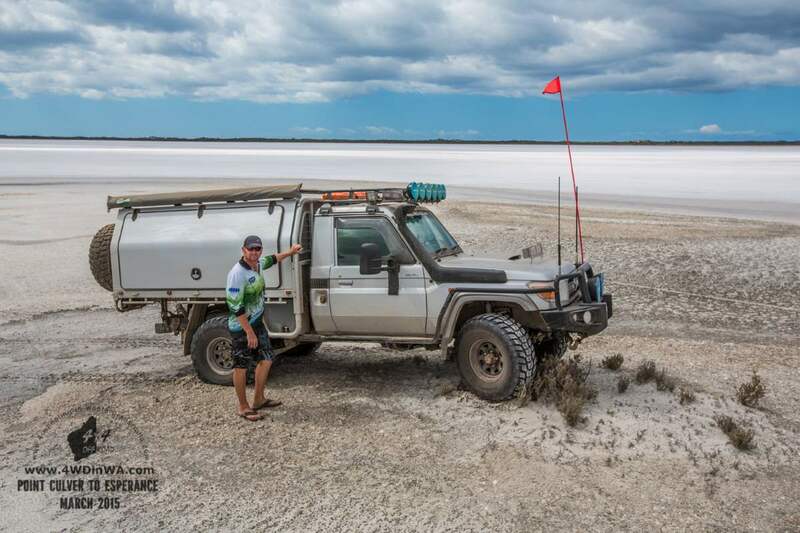 We took the telegraph track which crosses a handful of salt pans. 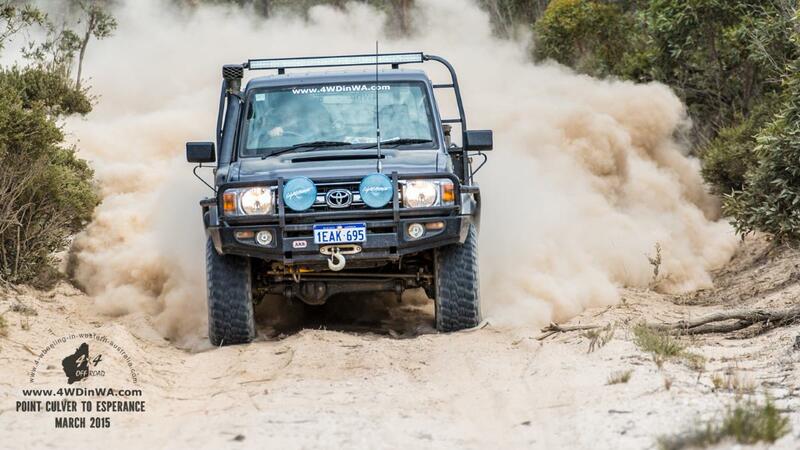 It is very important to stay on the track as going around it or taking short cuts can get you bogged and we are not talking about a simple recovery. 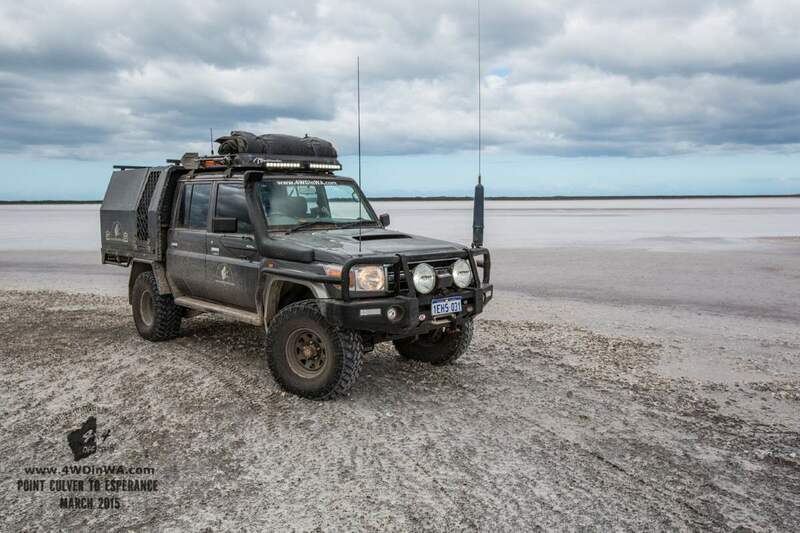 We have been bogged at a salt lake in the outback before and if you are on your own out there, you are well and truly stuck and will have to wait for help whenever that will arrive. 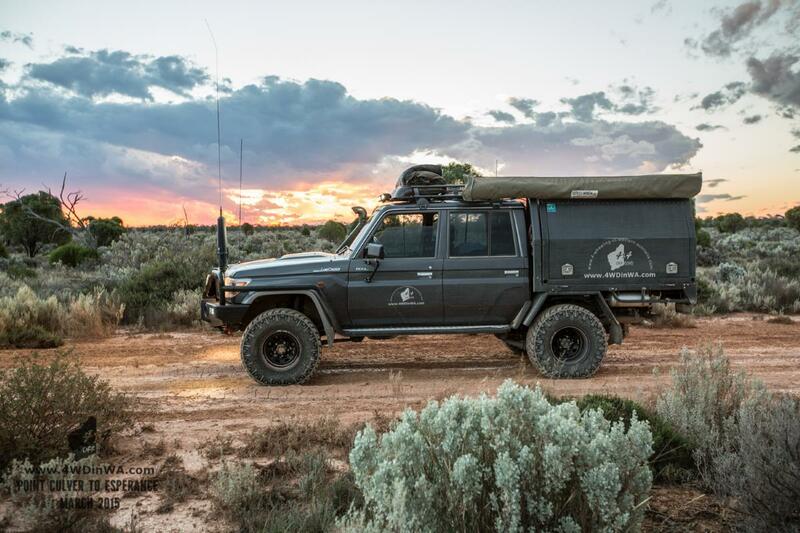 Once at Israelite Bay you will be faced with an abundance of camp choices, simply drive around until you find a good sized camp for you and your companions. 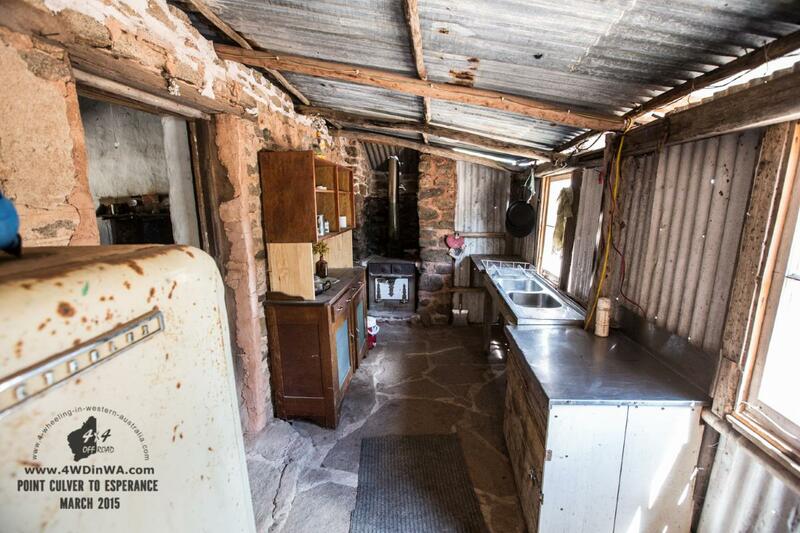 There is a tap with running water around the centre of the area (just a short walk from most campsites). This water is not clean enough for drinking unless you boil it first. We had about 15 dead bees come out of the tap when we checked it out. 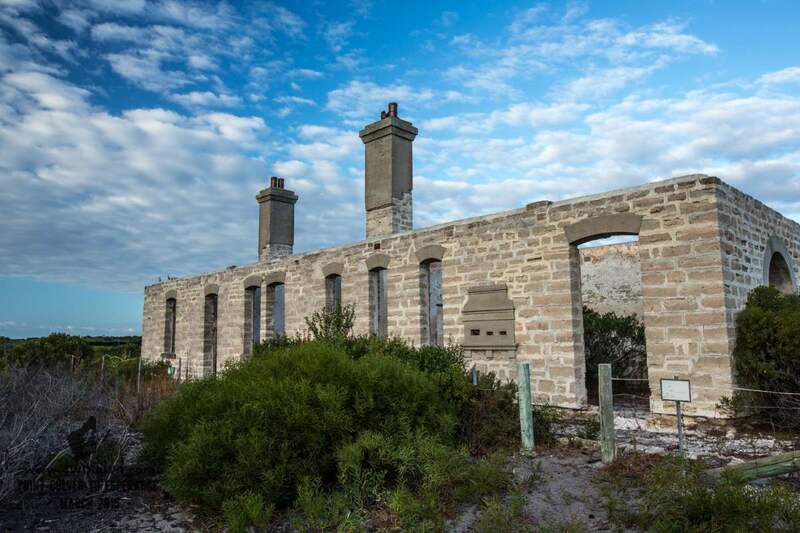 The old Telegraph Station ruins are well intact and those walls have been there since 1896, the original station was built in 1876 and was constructed from wood and the later replaced by the stone walls still standing today. 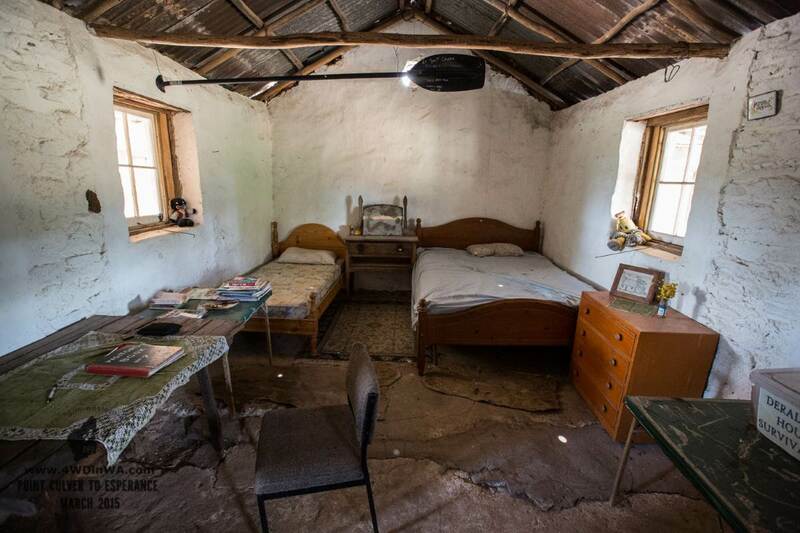 This remote settlement was home for around 150 people at it’s peak. The station itself is quite big (well bigger than we expected it to be) with plenty of rooms and fire places. 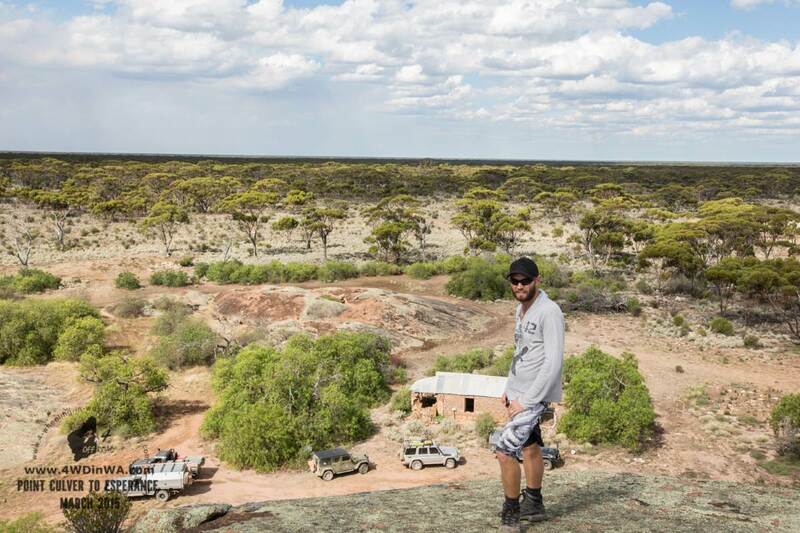 It’s one of the most interesting ruins in Australia we have explored so far. 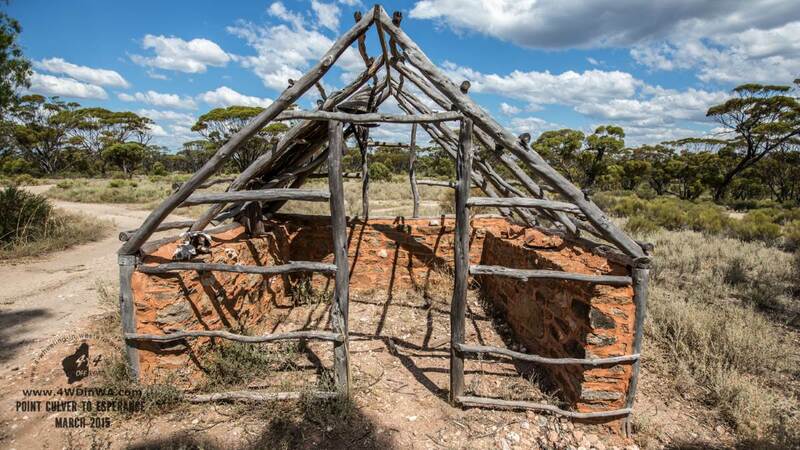 Before this telegraph line and stations were built it took around 3 weeks for the news to travel from Adelaide to Perth. Once the telegraph line was in full operation the news was suddenly a same day event. 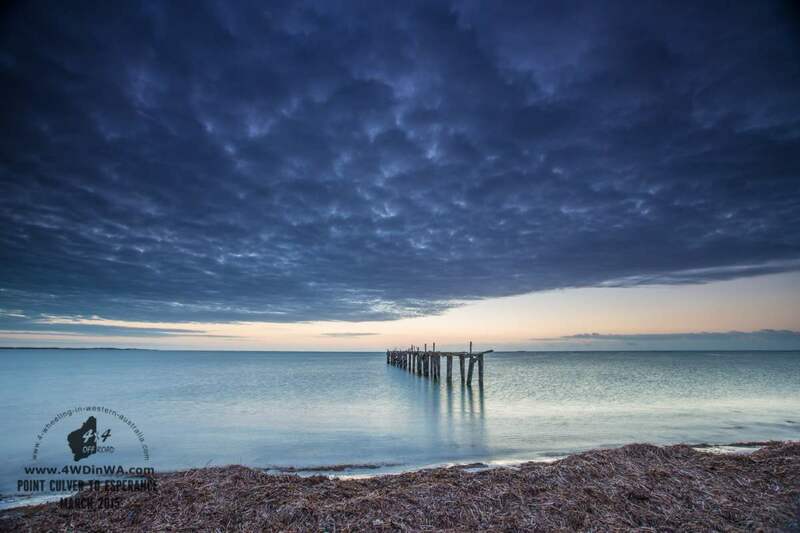 The old jetty was built shortly after the telegraph station in order to supply the people working in the bay and on the telegraph station; it was also used to export wool from the sheep stations near Israelite Bay. The jetty is still there today even after all those years! There are a few old graves from the past not far from the fishermen shacks which are near the Jetty. 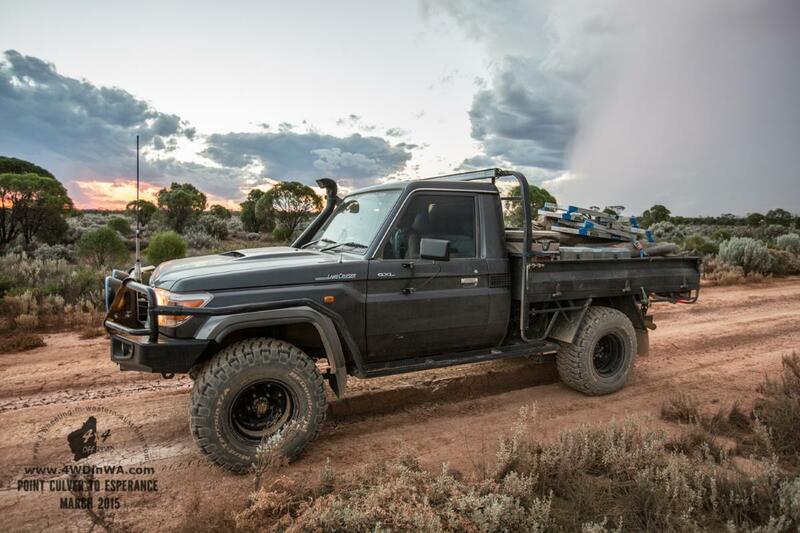 Heading along Fisheries Road towards Esperance gets pretty damn rough, corrugations as bad as useless loop road near shark bay, but sometimes worse as you can’t go too fast due to big depressions along the track, tight corners and big pot holes. Your top speed will be just 70 km and only briefly. The average speed for the next 60-70 km will be just 45 kmph. We found a psi of around 25 worked the best. 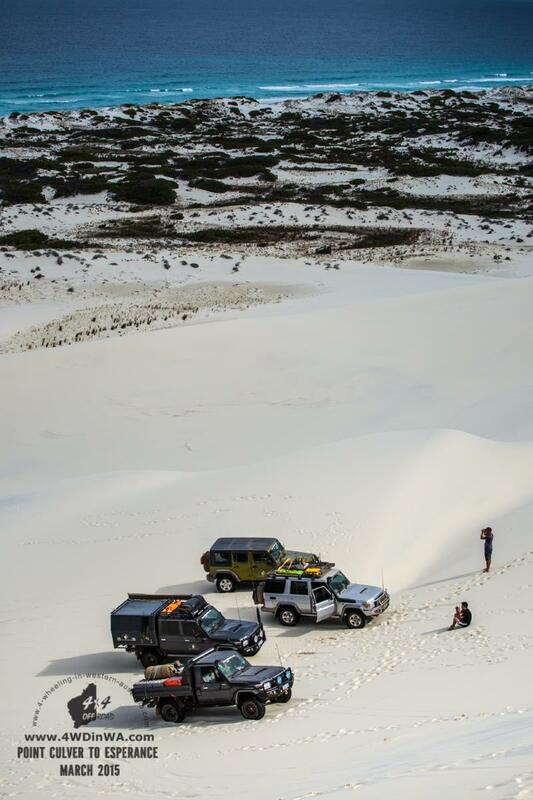 On your travels back towards Esperance we highly recommend a visit to Poison Creek in Cape Arid. The beaches there may well be the best in the world, they are the cleanest beaches we have ever seen and the fishing there is amazing. We caught a fish there and just around the corner of Poison Creek (at Thomas Fishery, near Mt Arid) the boys landed a fair few fish. Most were too small and were released. The best looking beach you could possibly find and the fishing is great! 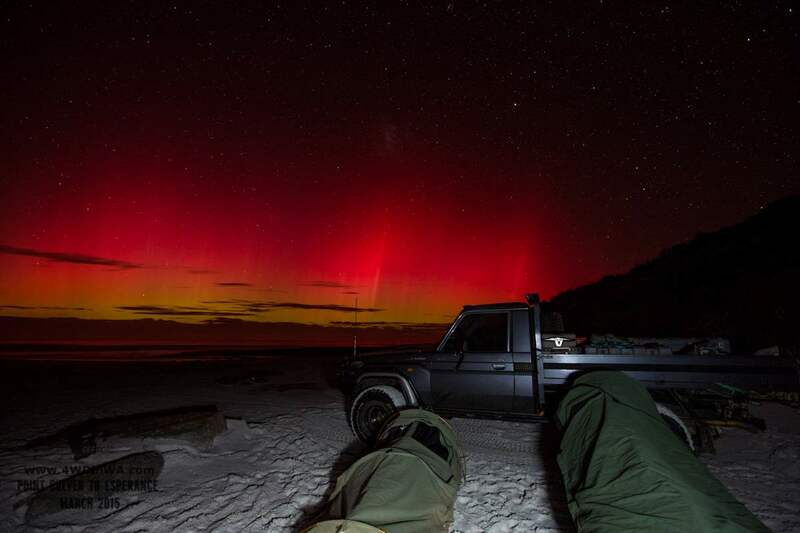 We spent the night on the beach pulling an all-nighter fishing and managed to catch a very rare Aurora (northern lights but these are obviously southern lights). 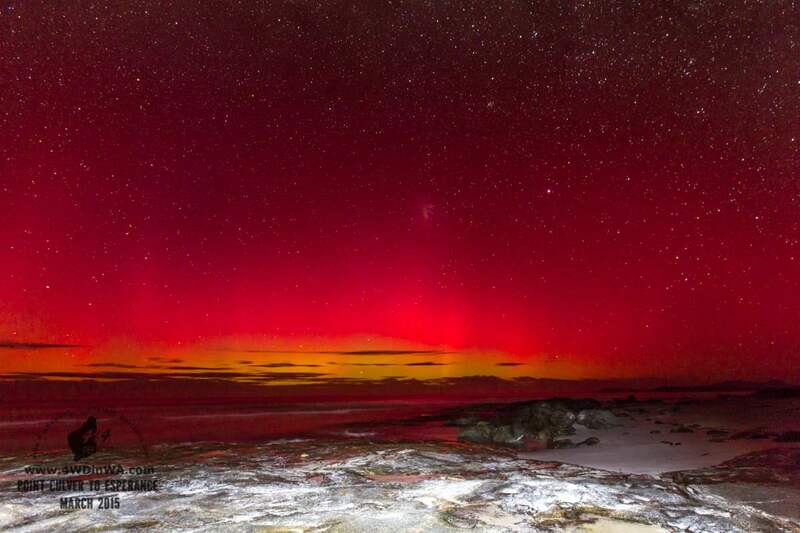 Red coloured Auroras were appearing for quite a few hours caused by a solar flare hitting the earth atmosphere. Poison creek is a very long beach which goes further than the eye can see. At high tide you can get around by using the inland track. 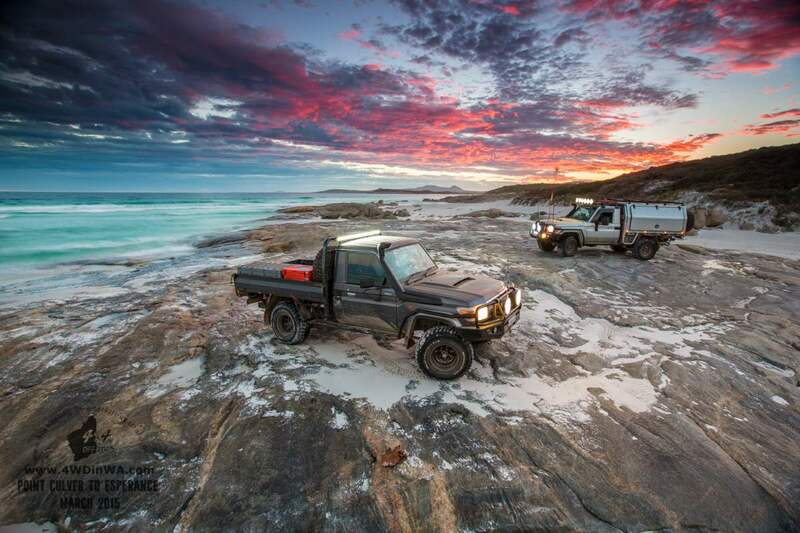 There are 3 campsites to choose from: Thomas Fishery, Seal Creek & Jorndee Creek. 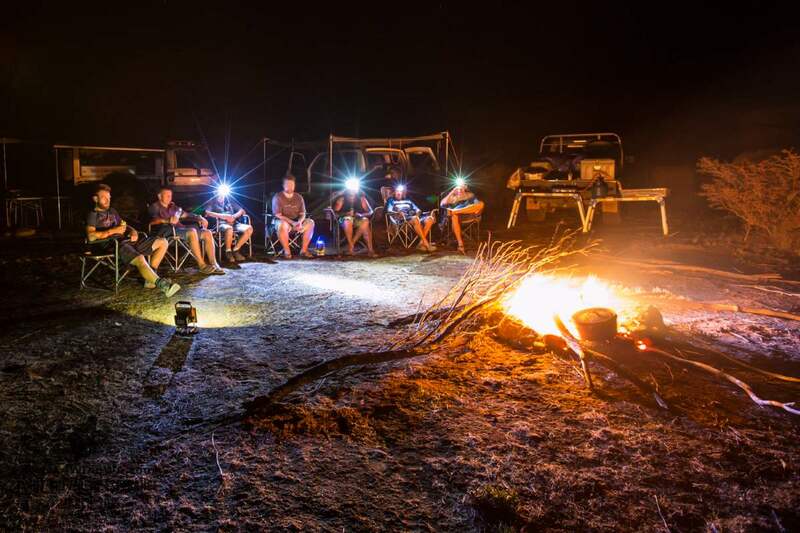 All campsites are run by the DPAW and no fires at any time are permitted. If you are there solely for fishing you could always pull an all-nighter fishing on the beach at Poison Creek. 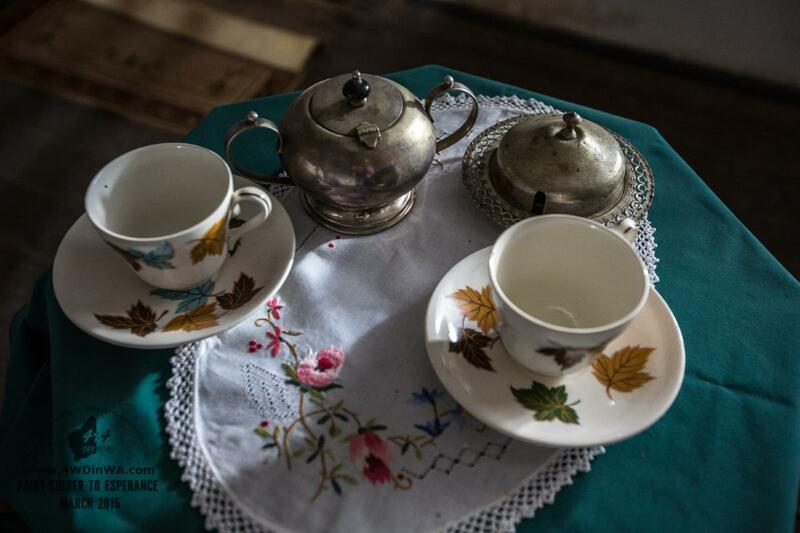 Need to Resupply and Refuel? By now you will more than likely need fuel; well you’re in luck as the town site of Condingup has fuel, a general store and a tavern with great meals. It’s nice to have a break from camp meals every now and then so check out the Condingup Tavern. There are special tourist waste bins just 200m from the tavern, a great place to unload the rubbish you have carried out with you! 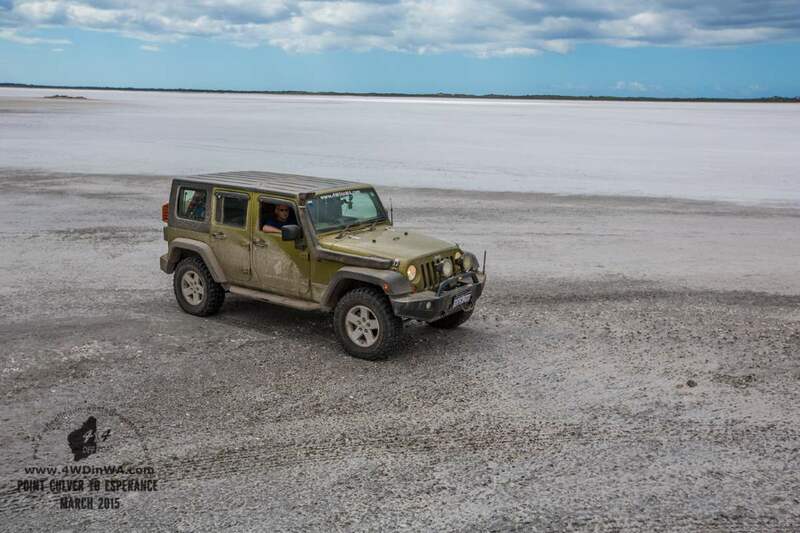 After Poison Creek we headed for Hammer head at Orleans Bay for some more challenging driving and fishing, it’s a place we have covered before see HERE for more information. 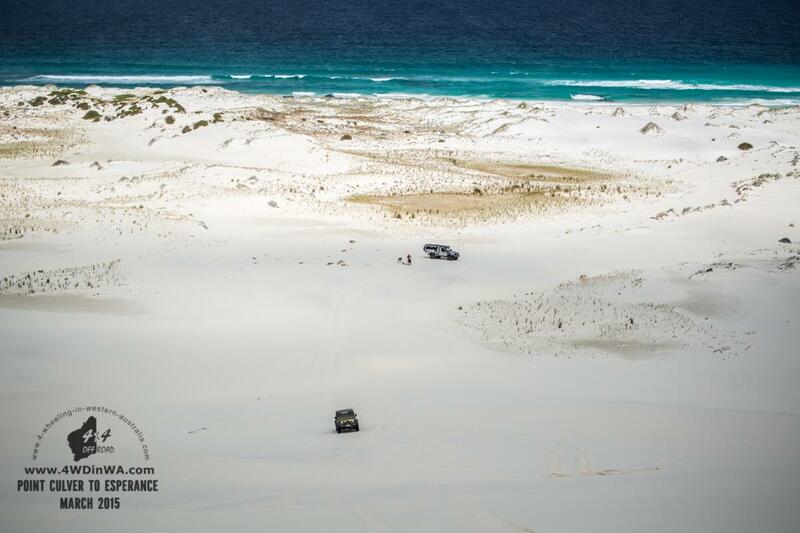 Our final leg of the trip was to cross the Cape Le Grande beach (22km long) which is a pleasure to drive on being hard sand and an endless beautiful beach, however the day we crossed it was blowing a gale and the tide came in faster than we thought it would. Almost 2 hours earlier than we had expected due to the windy conditions. 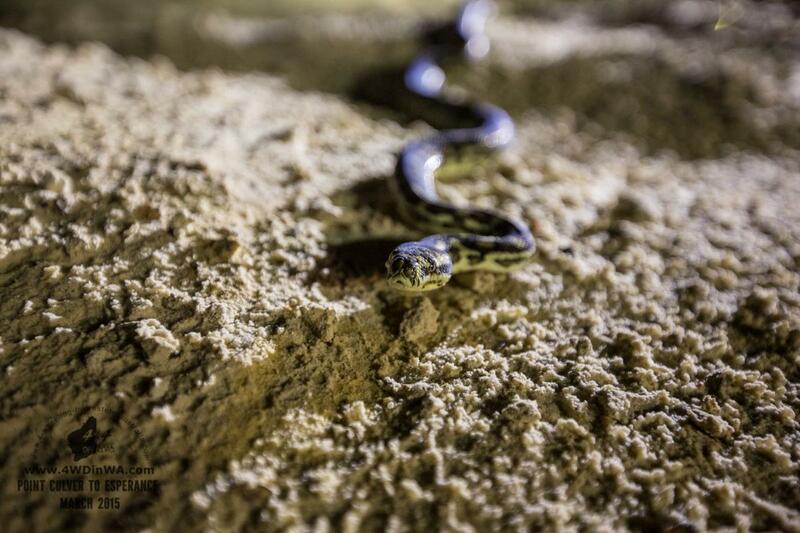 This forced us on a few tracks inland until we hit a dead end and entered the beach again. Needless to say we made it to the other side at Wylie Head. Our final challenge of the trip! 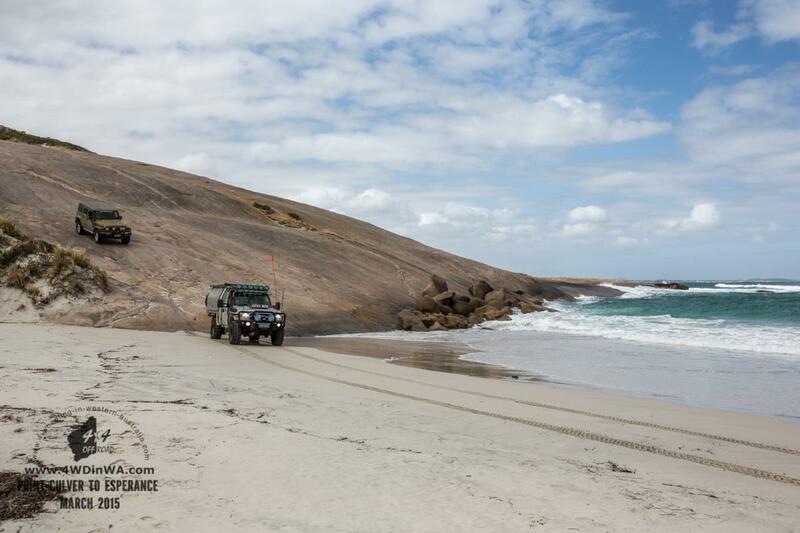 At the Esperance end of Le Grande beach lays Wylie Head, a huge rock outcrop with a stunning views at the top. There are a few ways you can climb this rock which include a sketchy approach from the east or straight up from Wylie beach from the west. 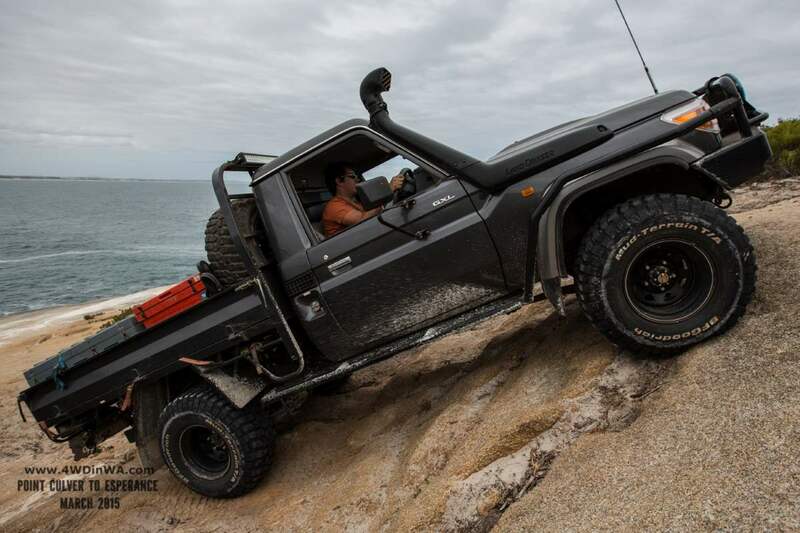 Both times we have entered from the south which provides a good challenge depending on your options and if you get it wrong, say you hit the clutch and the vehicle rolls back you will be in the deep end of the southern ocean! 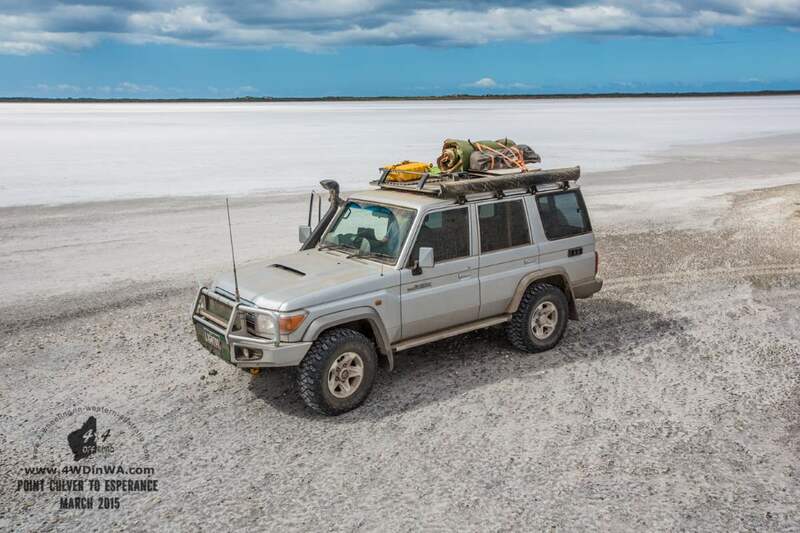 There is almost every terrain possible on this adventure and depending on the time of year some areas such as the tracks along the saltpans will be impossible or too risky to attempt. If there has been a lot of rain locals strongly advise against using them. Knowing the tides is very important as well. Somehow we left our tide book at home and with no reception out there you have to rely on your memory which was only good for us on the first 4 days. After that we had phone reception and managed to get our updates on tides. 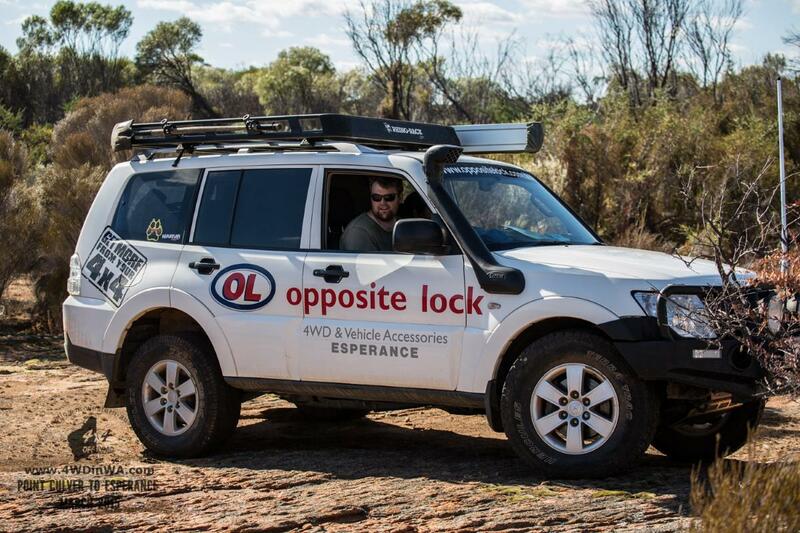 Tyre pressures will vary depending on where you are and on the conditions. You will have to reduce and increase psi more than a few times to suit driving speeds and flotation requirements (flotation over soft sand). Any time other than winter is good. November to late April. 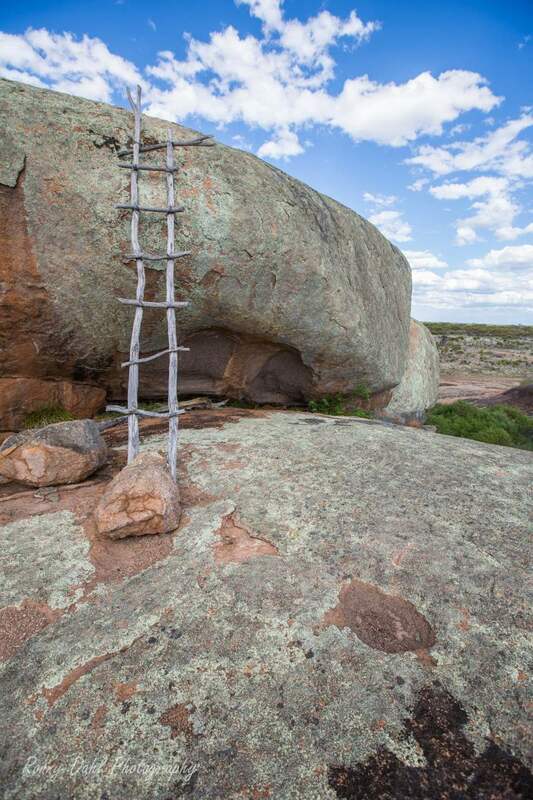 At Booanya rock take care if deciding to climb the wonky ladder! On your way in you will pass another track on the left. 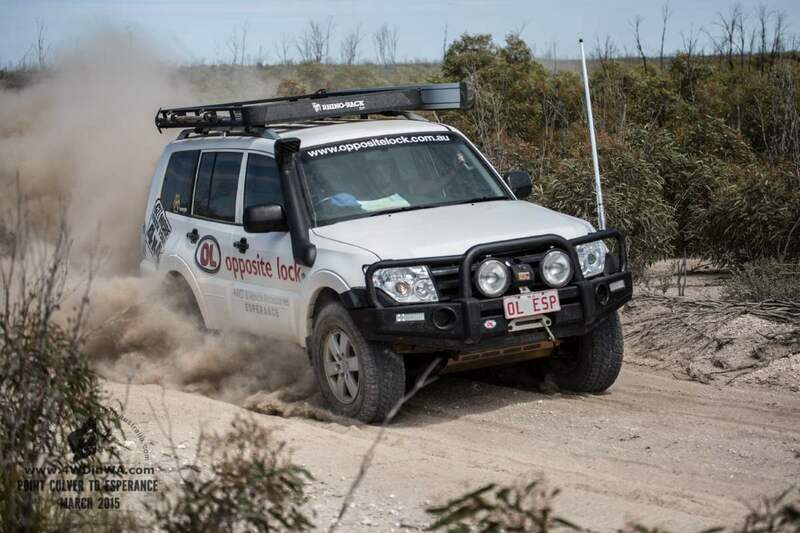 This track can be used to exit after visiting Booanya, the track between Booanya & Nanambiya can be overgrown at times, we recommend getting back out to Balladonia road for quicker access to the next home stead. 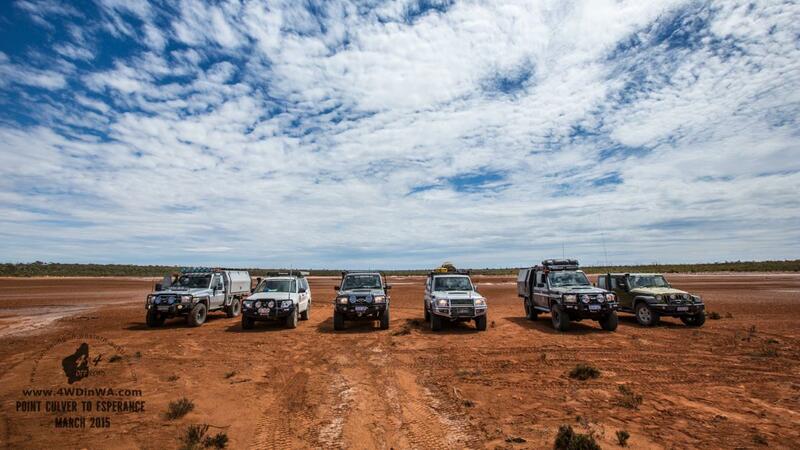 After refuelling head east along the Eyre Hwy to the southern turn off (a fence line track). OR you can head south at this T junction for the top of the cliffs, note you will need to back track to get to the beach and continue the adventure. You can reach both Bilbunya dunes and Point Culver from the beach as well. 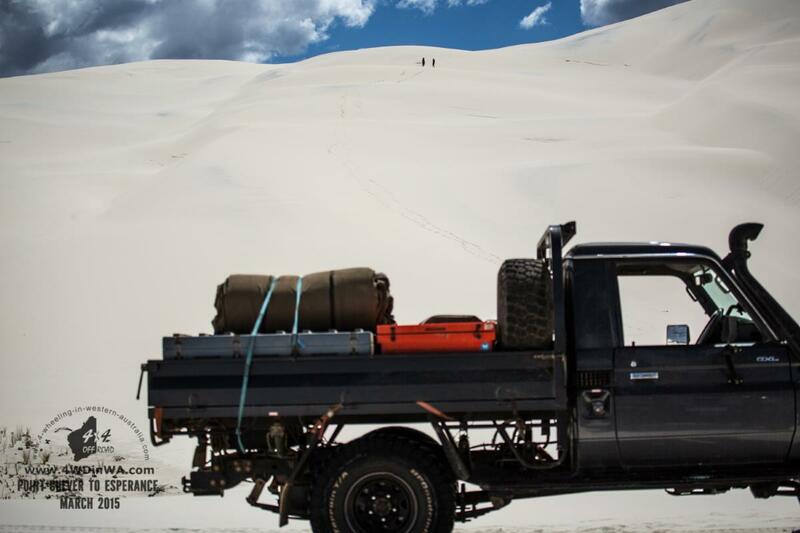 To access the dunes you can do so via 3-4 tracks from the beach or from the limestone wasteland at the Scarp base. 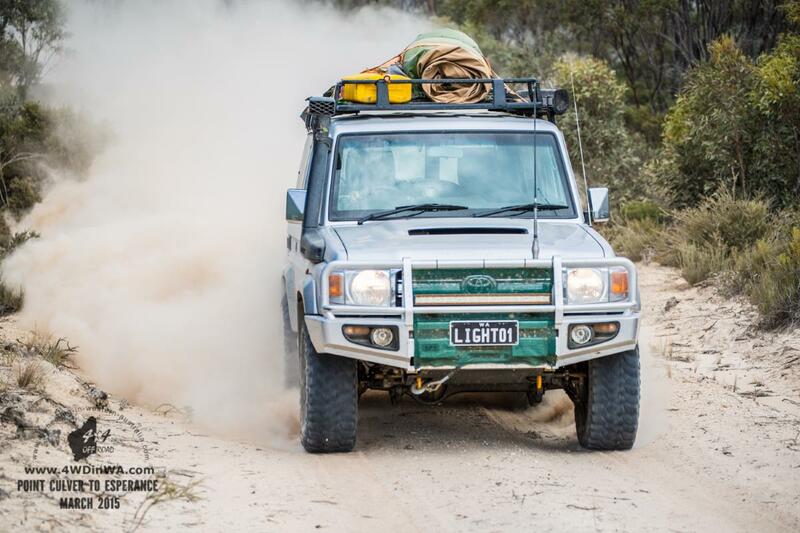 Look hard and you will find the tracks which can be faint at times but they are there, please do not make new tracks over the vegetation and only drive over sand. 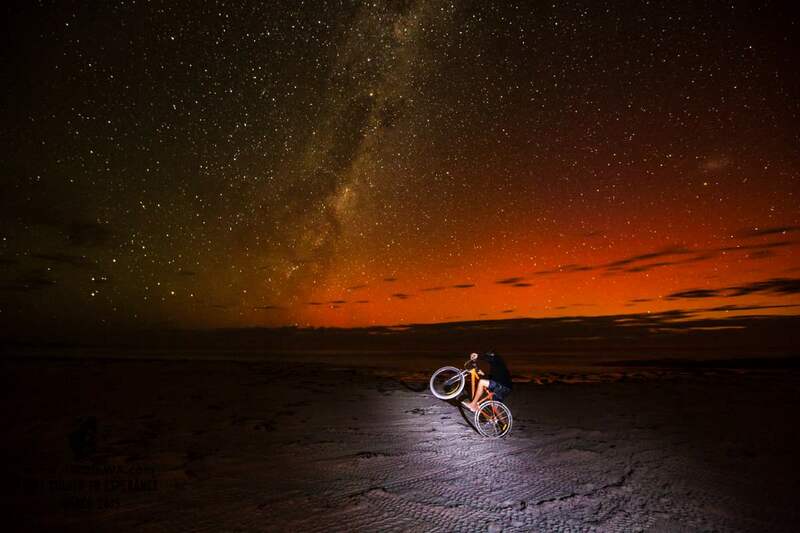 Take care on the dunes they have very steep razorbacks! This one takes you a bit inland, expect driving speeds of around 40-60kmph, a good exit if the tide is coming in. 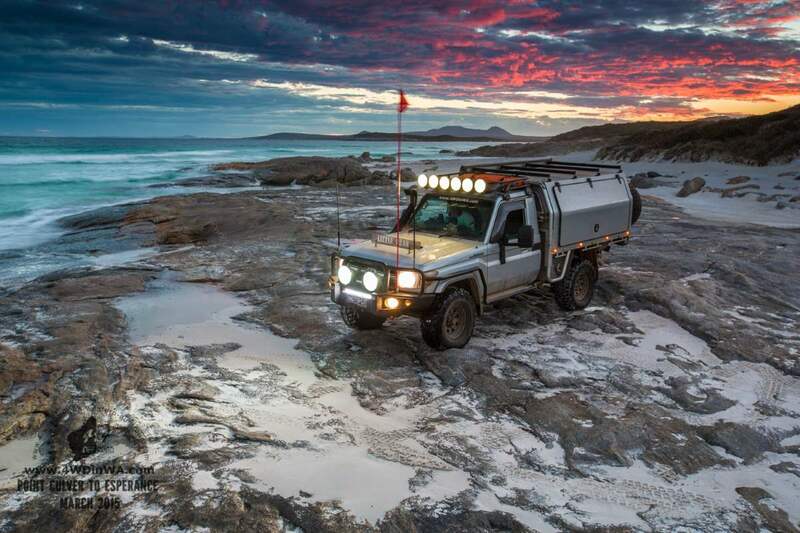 Sadly, the only camp near Point Culver and Bilbunya Dunes, in order to do some fishing after a visit to the dunes and the cliffs you will have to pull an all-nighter on the beach or a late afternoon drive to Wattle camp. 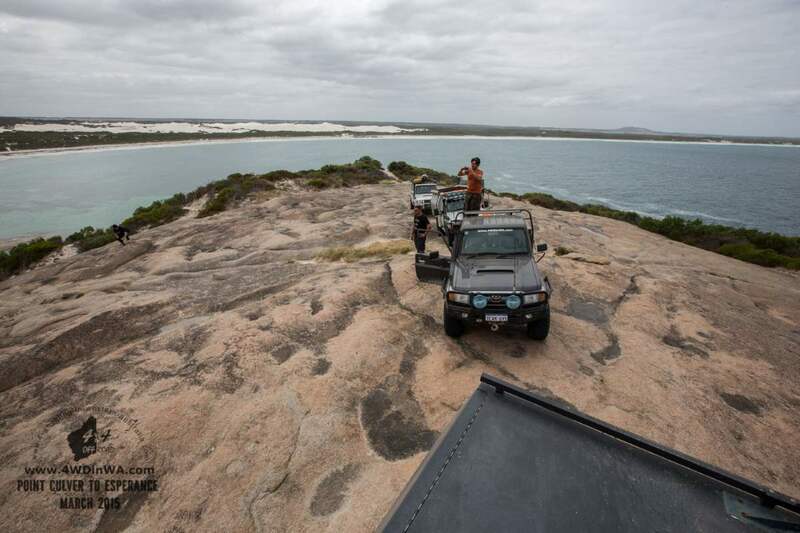 We ended up “resting” at the base of the scarp as it was too dangerous to continue on with the tide being high on the beach and being exhausted from the heat and driving for most of the day. 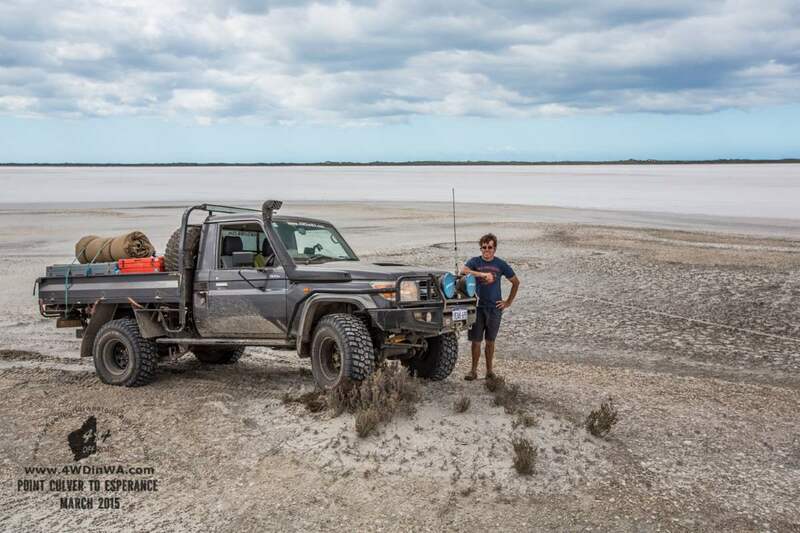 Getting to Israelite bay from the beach exits and Wattle camp has two options, 1; take the beach the rest of the way or 2 (the better option) take the inland tracks along and across the salt pans, however take care during the wet season!! 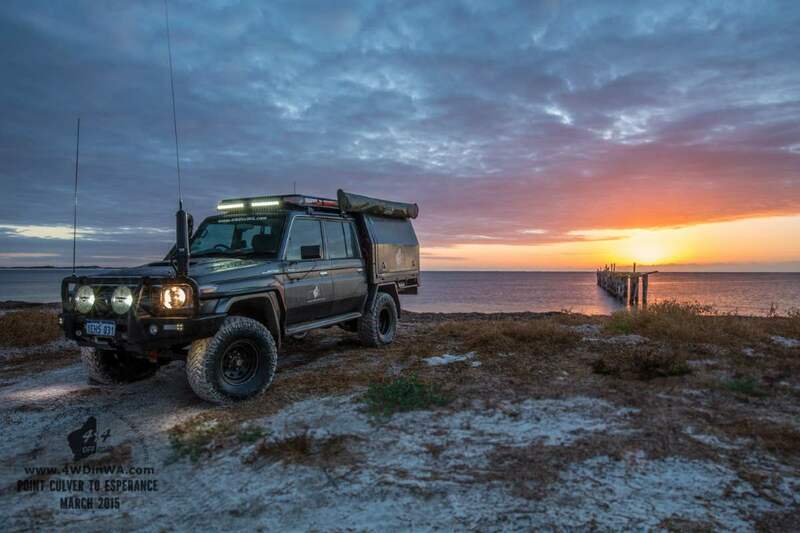 To leave Israelite bay simply follow the signs, there is also Point Malcom a short 20 km drive to the south (we didn’t see the area but have been advised by locals so if you have time go check it out). 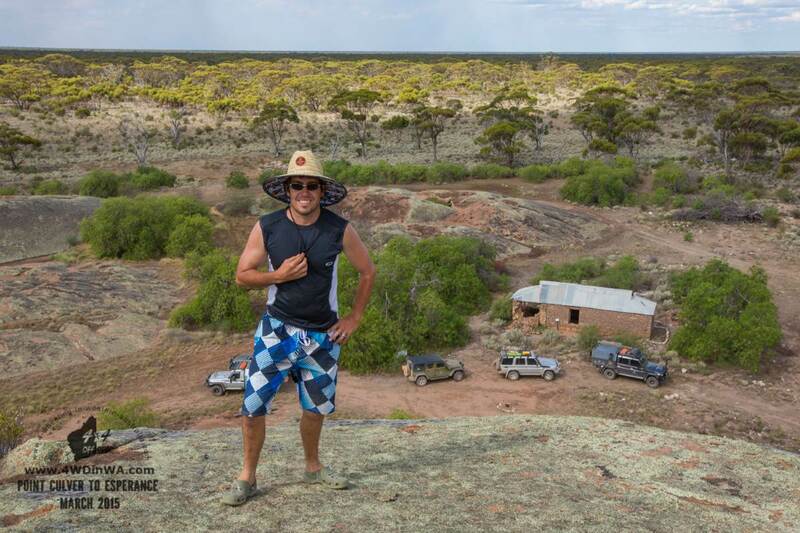 Leave Israelite Bay And Go 4 Wheeling In Western Australia. 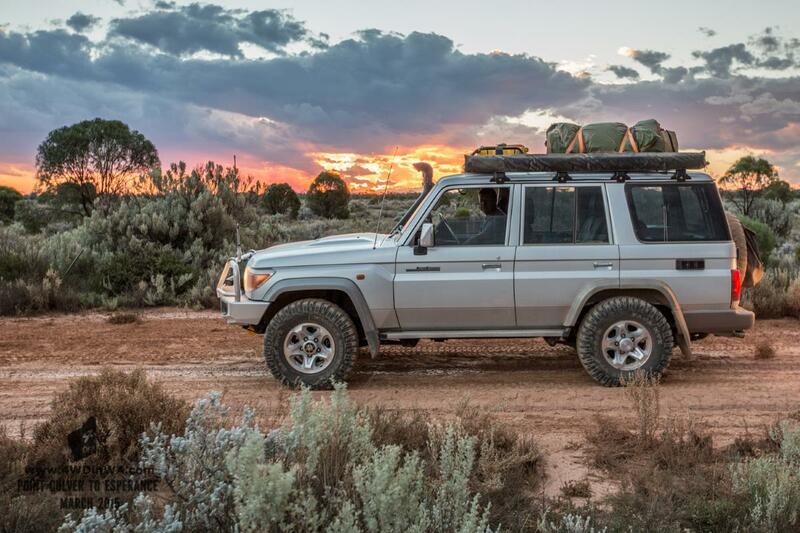 Off Road Tracks 750+ Km From Perth.